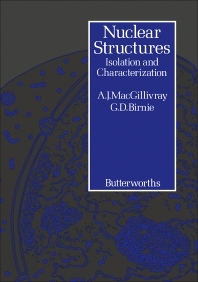 Nuclear Structures: Isolation and Characterization focuses on techniques for the isolation of molecular and macromolecular components of cell nuclei. The book first discusses nuclear matrices, including isolation of nuclear matrices and notes on the method. The text examines nucleoids. Nucleoid preparation and morphology, characterization of nucleoids, experimental uses of nucleoids, and criticism of nucleoid preparation are underscored. The book also discusses nuclear envelopes, polynucleosomes and monomer nucleosomes, and metaphase chromosomes. The text also examines DNA tight-binding proteins, including the definition and preparation of DNA tight-binding proteins; immunological characterization of tight-binding proteins; and DNA binding characteristics. The book also examines nucleoli and preribosomal ribonucleoprotein particles. Methods for the isolation of nucleoli; assessment of nucleolar preparations; and isolation of preribosomal ribonucleoprotein particles are discussed. The text also covers ribonucleoprotein particles containing heterogeneous nuclear RNA and nuclear RNP particles containing small RNAs. The selection is a good reference for readers wanting to study the isolation of molecular and macromolecular components of cell nuclei.